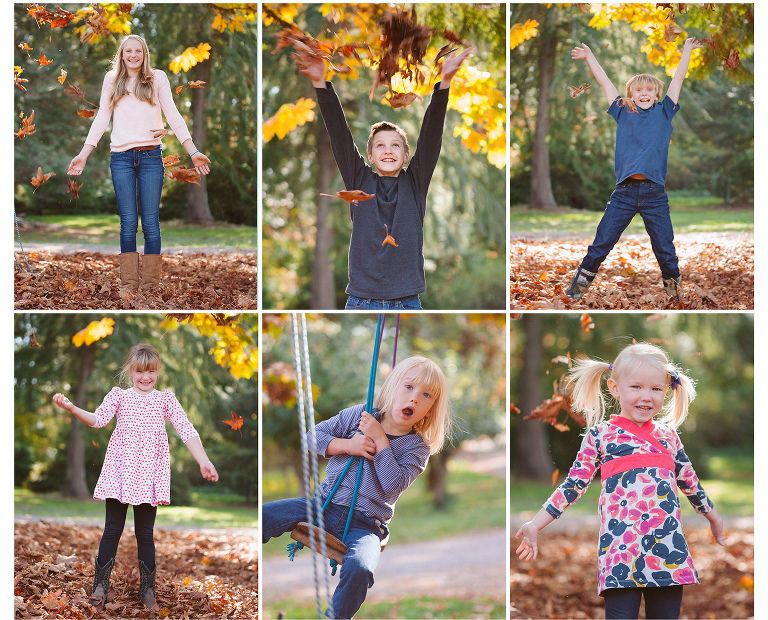 Big families are one of my favorite subjects to photograph, the easy going nature of groups this large and general playfulness seep out out into their photos and its is a fun challenge to try and get an even number of images of each child in a big group like this. 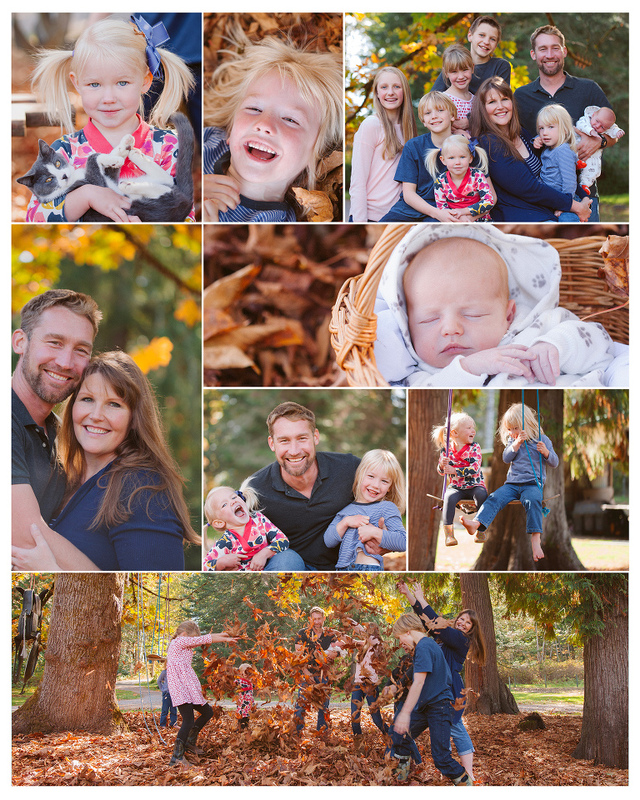 This sweet family just welcomed baby number 7 and we did a fun family session in their front yard in the peak of the Pacific Northwest colors. Here are some of my favorites!